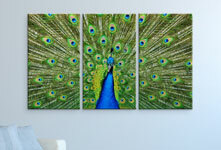 Multi-panel photos on acrylic glass are perfect for decorating a room in an especially impressive way. They can be used to create an impressive, expressive mood in a space. Spatial characteristics can be underpinned and highlighted with multi-part images. This is something that has been known for a very long time indeed: Even in ancient times, triptychs were used to great effect as the typical format for altar images. 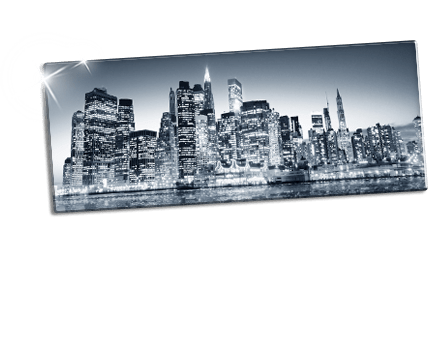 Unlike with photo canvases, the design of the edges does not have to be planned in when printing directly on to acrylic glass. Photos can be printed on to glass up to the edge. No part of the image is required for wrapping over the edge of the stretcher. Only a trimming area of 2mm has to be taken into consideration. 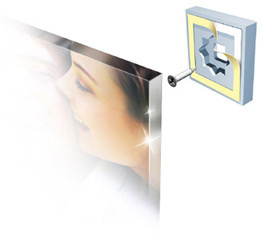 For this reason, acrylic glass is especially suitable for split photos. The motif for the pictures can be printed easily without any loss of image. The result is a multi-panel photo with excellent sharpness and clear edges. 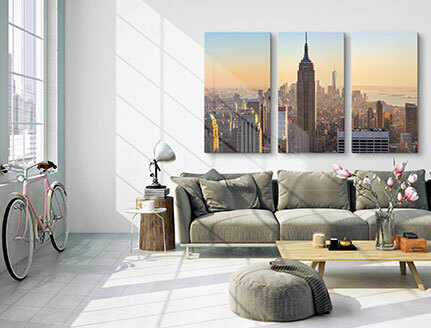 Acrylic multi-panel prints are popular – but not every photo is equally suitable as a multi-part image. A triptych consists of three individual parts, which are hung beside each other with some space in between. This means that care must be taken to select an image that is suitable as a multi-part photo on glass. People and faces, which could well be cut in half when the image is divided, will look strange and out-of-place. 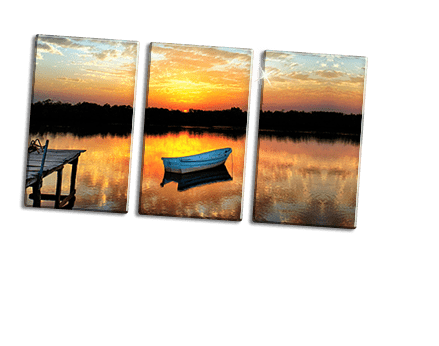 For this reason, nature and landscape panoramics are particularly suitable motifs for split acrylic glass photos. But futuristic views of modern cities or structured street photography can also be interesting templates for multi-panel images. 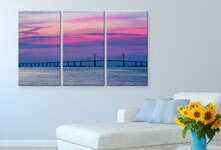 In addition to the popular three-part photos as acrylic wall art, four-part photos on acrylic glass are also often selected. These can be hung in a horizontal row or can even be arranged quadratically. 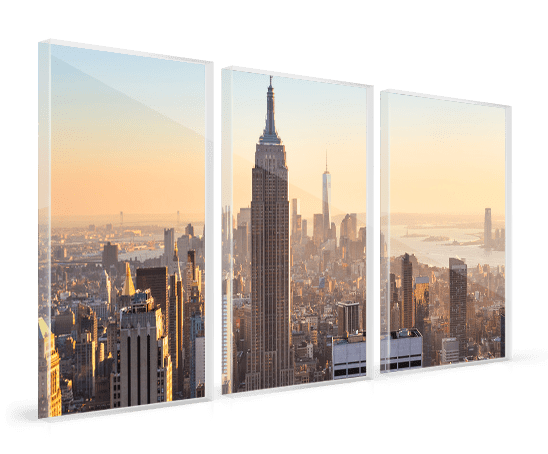 Multi-panel acrylic glass photos comprising more than 4 pictures, lined up and arranged according to size with the largest in the middle, is an interesting option for decorating large walls. 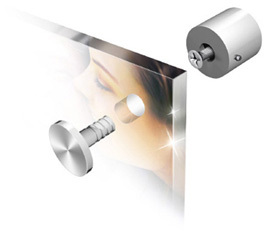 This brings an entirely new dimension to your acrylic print. Be aware, however, that the photos in the middle, in particular, will often be perceived in isolation. Acrylic glass photos can also be hung as a series of independent, individual images. The resulting multi-part image is varied and fascinating at the same time. 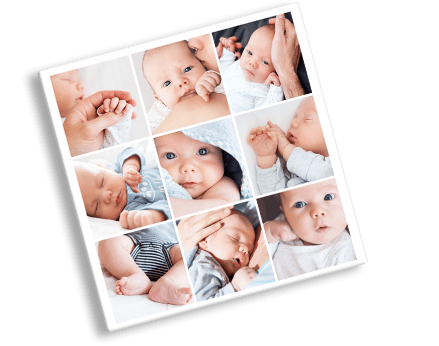 Our tip to this end: For this sort of acrylic glass multi-panel series, select photos with similar colours or, even better, from the same photo session for an excellent photographic result. In this case, the motifs will often have a common theme. Split images – a picture with company! 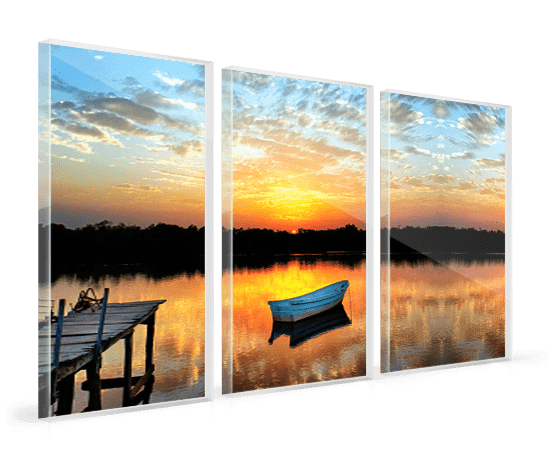 Please consider the following when planning your multi-part photo series on glass: A multi-panel series combines several photo parts into one overall image – you’ll therefore need enough space on your wall. 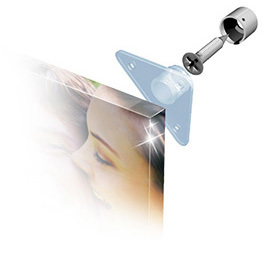 In addition to the XXL photo on acrylic glass, the split image is another original option for decorating high walls and large spaces with oversized photo products. 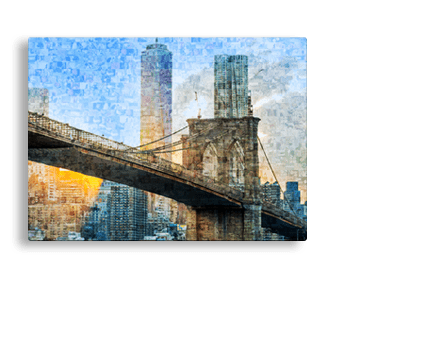 As well as the motif itself, the multi-part acrylic glass photo also involves the dimension of the grouping of the image and allows for new perspectives. The result is a unique, composite wall picture. We usually deliver our multi-part pictures in one complete package. In very rare cases, it may occur that one part of your split series is printed in a separate manufacturing process. This can result in the delivery of one of your acrylic glass prints being delayed. It is only in very rare cases that your series will not be delivered together. Generally, multi-panel photos are always dispatched as one complete delivery. Our logistics service provider guarantees speedy delivery of your wall art: UPS, DHL, and trans-o-flex. The UPS courier service takes care of overnight and express deliveries. Acrylic glass photos in XXL format with a size of 120 x 90cm and over are delivered by the trans-o-flex logistics service provider.